It’s been almost four months since Kim Kardashian was held at gunpoint in her Paris hotel. After taking a much-needed break, she only recently made her return to social media. And now, Kardashian is reading a book about a near-death experience, because she clearly still feels very connected to her own terrifying near-death experience. And we don’t blame her. She went through a serious, life-changing ordeal. 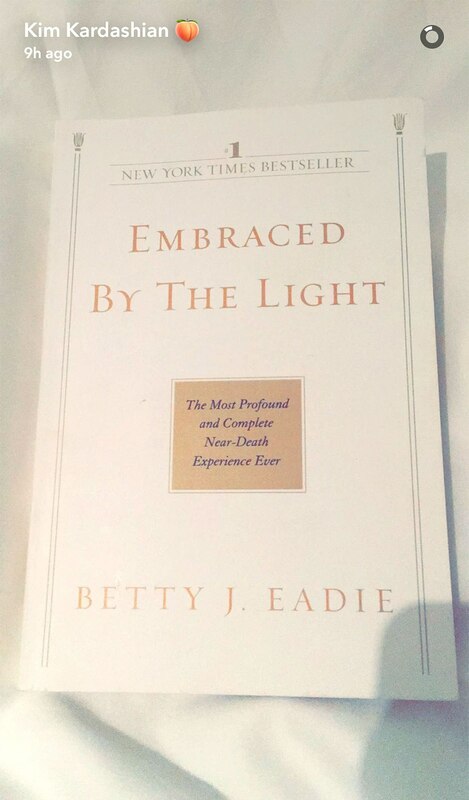 Kardashian recently posted a photo to Snapchat of Betty J. Eadie’s 1992 best-seller, Embraced by the Light, which chronicles Eadie’s brush with death. "Though Embraced By The Light chronicles my near-death experience and amazing journey into the spirit world, its main purpose is to reach hurting souls and bring greater hope & quality to life, give comfort through hardship & loss of loved ones—and to help establish direction through daily living. However, perhaps more important than anything else—its purpose is to bring to its reader the powerful message of God's unconditional and eternal love for them and the message 'Above all else, love one another.'" Considering all that Kim has been through, we can understand why she’s turning to literature for comfort. In our darkest times, we also look to books as a safe haven for guidance, or even as a brief escape from all that is troubling us. To put it simply, Kim: We. Feel. You. Ultimately, we can’t imagine the feelings Kardashian has been dealing with since the incident in Paris, but we hope this book helps her find some peace.